Some days it doesn't pay to get out of bed in the morning. Me? I woke up just fine and am having a good day, but this poor little hummingbird in the gardens of the Mast Farm Inn is having a rough go of it. Apparently, the bird impaled a flying something with it's beak and now has the dead corpse stuck on it. I watched in amusement as it tried its best to git rid of the evidence. 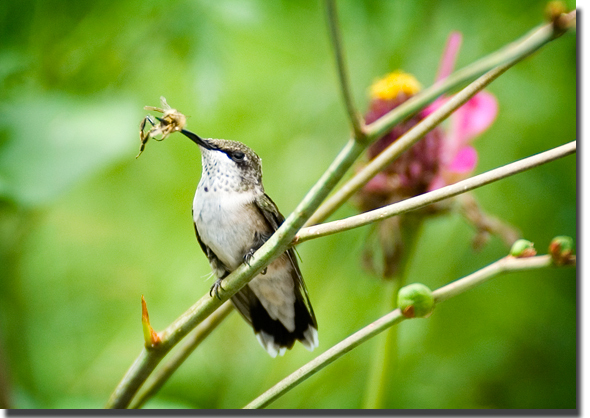 And because the internet is the place of all possibilities, I post my evidence of death by hummingbird. It is unlikely you will ever see such a thing in mainstream media. Only here, my friends. 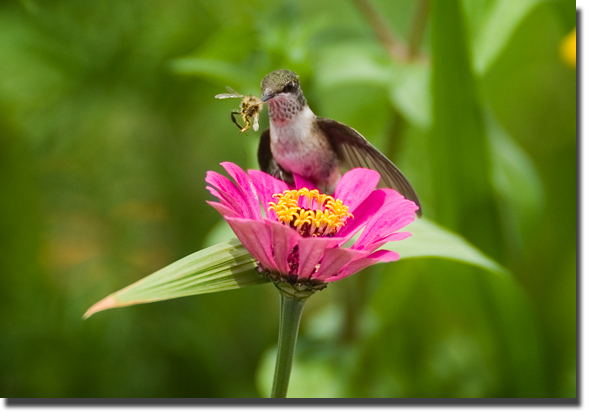 Oh I know the quality of this hummingbird photograph pales in comparison to that of Hugh Morton's, but remember, I am the twisted Blue Ridge photographer who has brought such odd shots to the world such as THIS, THIS, and THIS. 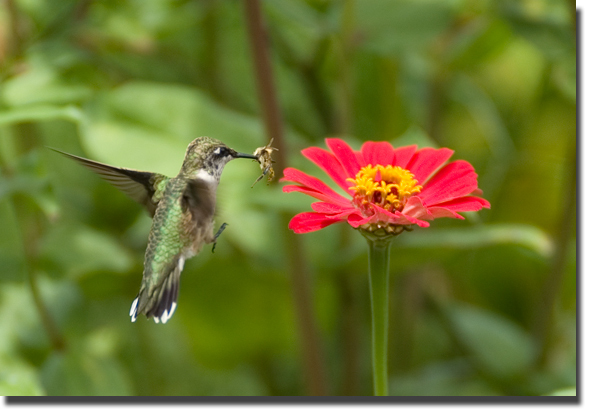 Wanna see what happens when a preying mantis meets a hummingbird? P.S. 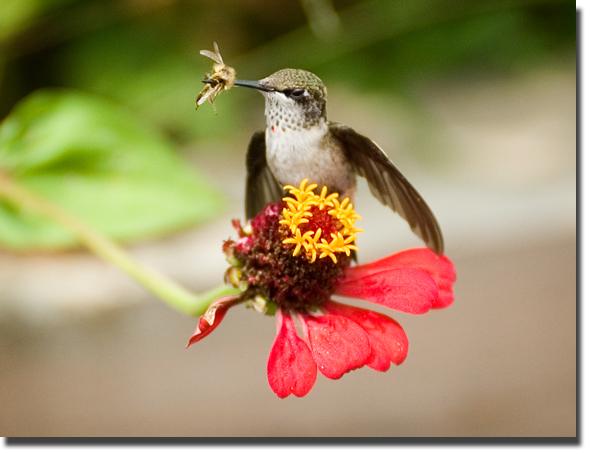 The hummingbird turned down my offer to help. P.S.S.S. Any ideas for a good caption?